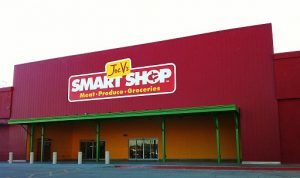 Texas Microgrid has scored a deal to install its natural gas microgrids in 45 stores run by Texas-based H-E-B, one of the nation’s largest grocery retailers with more than 370 stores in Texas and Mexico. Announced July 12, the microgrids will help keep electricity flowing to the stores during an outage, so that they can continue to serve the community. The Houston area is notorious for its severe storms, wind and flooding. Operated by Texas-based Enchanted Rock (ERock), Texas Microgrid installs microgrids that use natural gas reciprocating engine generators. The company’s business model is unique in that it skirts the industry dilemma of monetizing reliability — the valuing and pricing of a microgrid’s ability to keep the lights on for customers when the central grid fails. ERock gives reliability away to customers at a low price, and instead makes its money by selling electricity and ancillary services to the central grid. The company says that the approach shifts the performance and market risk to the operator and owner of the assets, allowing customers to focus time and capital on core business activities. E-Rock recently received an infusion of capital from equity investor Balfour Beatty Infrastructure Partners (BBIP) to build 50 MW of microgrids. Advanced Microgrid Solutions closed on joint development deal with Macquarie Capital to build a $200 million fleet of energy storage projects. Macquarie will provide project capital that will be used to design, construct and manage a distributed fleet of AMS’s advanced energy storage facilities located at commercial, industrial and government host sites. The energy storage systems will be used for utility grid services, including flexible and reserve capacity, solar integration and voltage management in addition to retail energy services such as demand management, back up generation and enhanced power quality. The initial projects will provide 300 MWh of capacity resources and demand management for utilities and certain commercial, industrial water and university customers in the West Los Angeles Basin service territory of Southern California Edison, the state’s second largest utility. SCE will buy capacity from the AMS fleet of behind-the-meter, battery-based energy storage systems under 10-year capacity contracts to provide load reduction services as part of SCE’s plan to modernize the grid by 2022. Follow Microgrid Knowledge on Twitter @MicrogridNews. As new technologies become available and new conditions emerge, proactive adaptation can cost much less than reacting, particularly when some costs are intangible. Advisian’s Tristan Jackson and Andrea Ruotolo stress the importance of climate change adaptation in designing the more sustainable, distributed, resilient grid of the future. Microgrid benefits include energy reliability, energy accessibility, energy independence, and energy cost optimization. 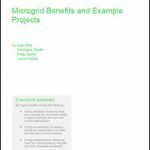 Download the new white paper from Schneider Electric that explores the benefits microgrids can provide and supplies examples of relevant microgrid projects.